Researchers have identified an anxiety-provoking brain circuit in mice that is activated by the neurotransmitter serotonin. The finding may explain why some people experience increased anxiety when they begin taking certain antidepressant medications. Serotonin, a neurotransmitter whose levels are boosted by certain antidepressant medications, is best known for its role in regulating mood in a positive way. But the same neurotransmitter can also induce distressing emotions when it acts on a newly discovered anxiety-regulating circuit in the brain, according to animal studies reported September 1 in the journal Nature. Giving mice the selective serotonin reuptake inhibitor (SSRI) fluoxetine (Prozac) activates this circuit and provokes anxiety-like behaviors. The finding may help explain the worsening anxiety some individuals experience during the first few weeks of taking Prozac or other SSRIs (Paxil, Zoloft, Celexa, etc). Temporarily blocking this anxiety-regulating circuit when a patient begins taking an SSRI might reduce the medication’s early side effects, pointing toward a new strategy for drug development, the researchers say. 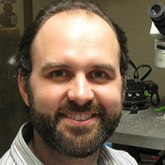 The team of scientists was led by NARSAD 2010 Young Investigator and 2014 Independent Investigator Thomas L. Kash, Ph.D., at the University of North Carolina School of Medicine and including 2005 and 2007 Young Investigator and BBRF Scientific Council member Karl Deisseroth, M.D., Ph.D., at Stanford University; 2005 Young Investigator Andrew Holmes, Ph.D., at the National Institute on Alcohol Abuse and Alcoholism; and 1998 Young Investigator Lora K. Heisler, Ph.D., at the University of Aberdeen. They identified specific neurons in the brains of mice that trigger anxiety-like behaviors when they are activated, either by a fear-inducing reminder of a negative experience (such as a sound that was previously paired with a mild shock), or by direct stimulation by the researchers. They found that serotonin produced by these cells is a signal to other neurons in the circuit, leading to an increase in anxiety. Giving mice an SSRI has the same effect on this brain circuit as putting the animals in a fearful situation: Serotonin levels rise and anxiety-like behaviors increase. However, the researchers found that they could prevent this serotonin-induced rise in anxiety by shutting off the cells in the circuit that receive the serotonin signal. With those cells blocked, anxiety levels remained stable when the animal were given an SSRI. It may be possible to identify a drug that has the same effect in people, the researchers say.